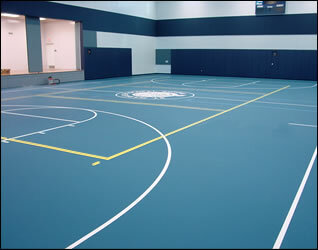 Polyurethane has excellent gloss and color varieties. Its excellent characteristic in many cases is similar to those of PVC and each millimeter thickness of a polyurethane flooring is completely resistant to high voltage electricity, abrasion and many chemicals. It can be used over to coat old and new concrete surface. Highly recommended for use in industrial (especially chemical industries), commercial laboratories, food, medicine, and public service flooring. This is because of its high resistance to abrasion, high voltage electricity, chemicals and fire. 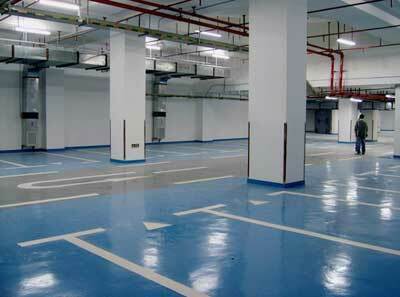 It is also beautiful, smooth and suitable for the creation of a flat floor without any expansion joints. It is hygiene and dustproof in can come in many different colours. Below are some of the polyurethane systems we can deliver. A self-smoothening, seamless, heavy duty polyurethane flooring and repair system with matt finish in thickness from 3-6mm. Versatile in performance, high impact resistance, aesthetic and economical. Ideal for food and beverage production, dairies and milk products, pharmaceutical and electronics component manufacturing. 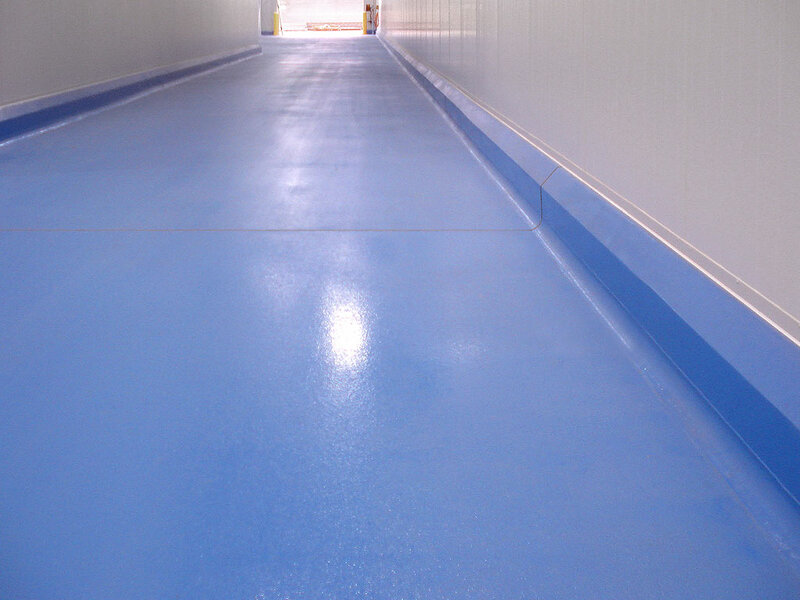 A seamless, slip resistant, heavy duty polyurethane trowel applied screed in thickness from 6-9mm. It has a matt finish and possesses a wide spectrum of chemical resistance, high impact resistance and can withstand direct steam. Ideal for meat, fish and poultry processing; cold rooms, chillers and freezers; chemical plant, solvent handling and liquid processing; breweries and beverage production. A new generation, environmental friendly single component polyurethane coating. For interior and exterior concrete floor and wall, timber, steel and as a clear sealer for epoxy composite flooring systems. Easy to apply and odorless. Suitable for use in pharmacies, hospitals, clean rooms, food, electronics and pharmaceutical manufacturing facilities. High performance, polyester polyurethane coating. An extremely durable finish for interior and exterior use. Designed to resist chemical, ultra violet, heat and abrasion. Suitable for hear wearing areas such as toilet cubicles, staircases, lift lobbies, and laboratory benches. Highly attractive and decorative coating for walls, doors, timber panels, fascias, floors and even aircraft bodies. Available in pigmented or clear. A self smoothening, seamless polyurethane leveling compound anti-static based anti-static floor system with controlled electrical properties. Suitable for use in area where a durable, cleanable, chemical resistant floor surface is required without the attended risk of static build-up. Typical area of use are electronics production, semi-conductors, precisions, pharmaceuticals, clean rooms, car assembly lines, flammable solvent handling areas, military arsenal, high explosion risk area and electronics device handling areas.